Over The Opening, Brooklyn, NY. A complete hands-on tamale cooking class at OTO. Students were provided recipes. I demonstrated the finer points of the tamale making process. Then the students stuffed and steamed over 300 tamales. 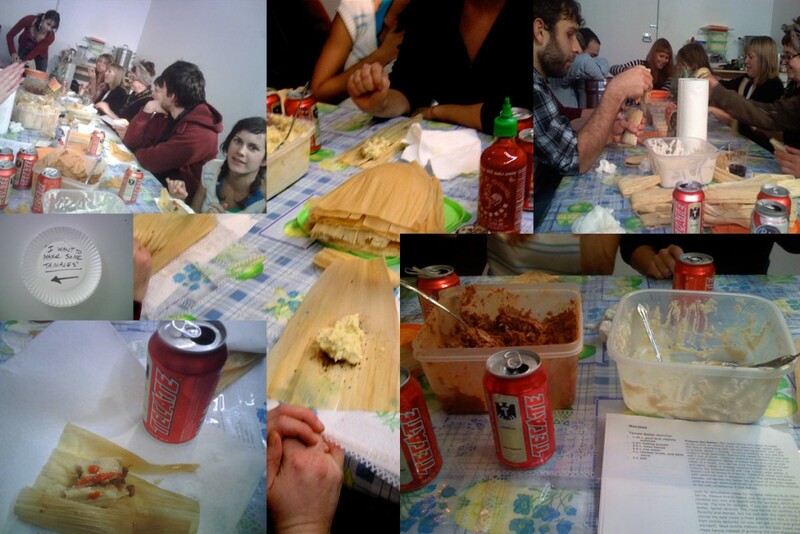 The resulting tamales were eaten by the students and the audience. Tamales are traditionally served during the Christmas holiday because they evoke the swaddled Baby Jesus. Performed in January, 2008, the lesson was a celebration of collective effort and renewal.